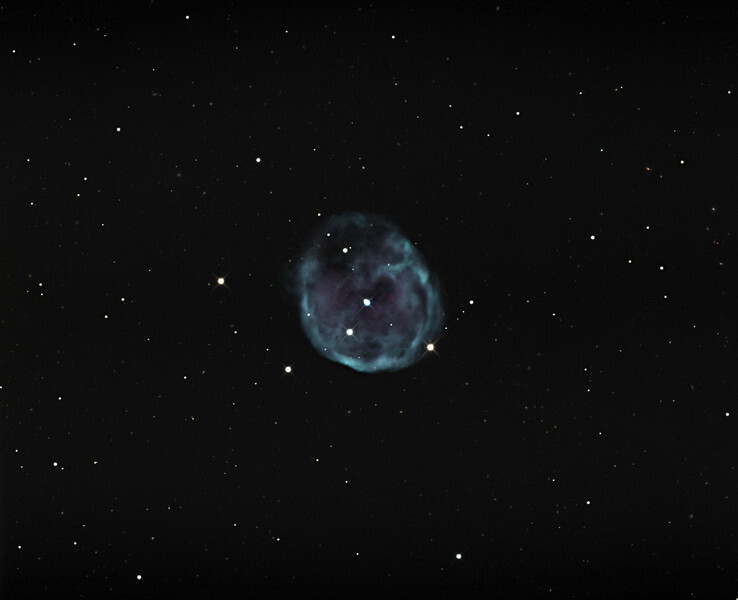 NGC 246, planetary nebula. STX camera on the 32 inch Schulman telescope on Mt. Lemmon, AZ. Data capture remotely over the internet by JDS using TheSky6, ACP Planner, TheSky Plan Capture, and Filezilla . First internet controlled image with the Schulman telescope. Processing of the RGB data, all binned 1x1, by JDS using CCDStack and Photoshop CS5.